Fly fishing for pike is nothing new but in the last couple of years the number of active pike fisherman have grown exponentially. There is a reason for that, Fly fishing for pike is so much fun, the fish explode into your fly, they are strong and jump, it’s an absolute blast to fish for pikes. 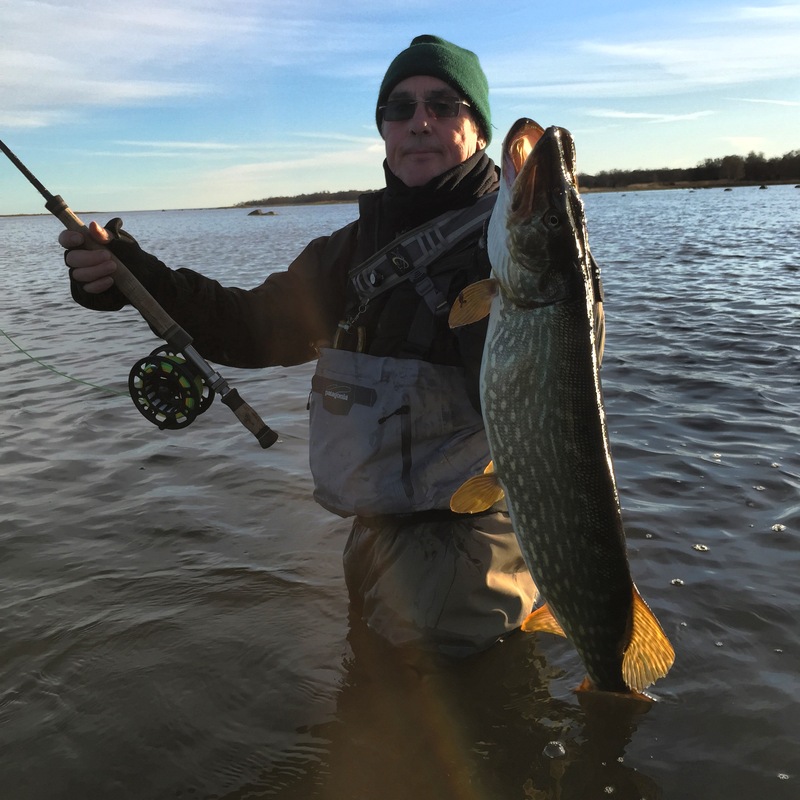 For a few years now I been fishing a place in the south of Sweden that offers world-class fly fishing for pike and I thought I´d share some good information to you guys that want to travel here and experience this for yourself. 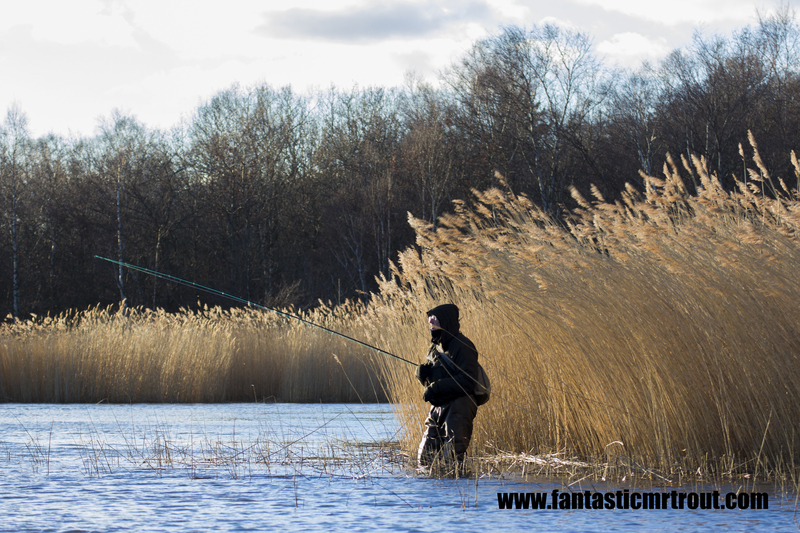 in the south-eastern corner of Sweden near Karlskrona, you will find a fly fishing paradise. Most of this part of the Baltic sea is very shallow and filled with pike. 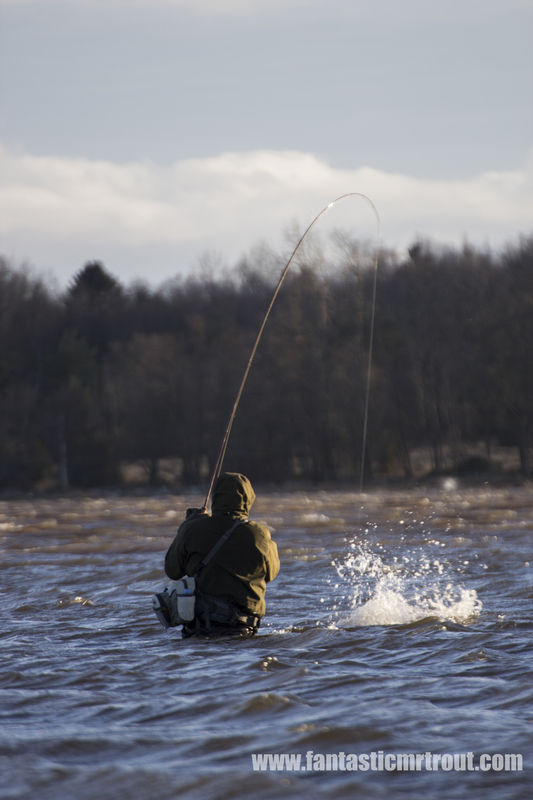 The season stretches all year around but certain months produce a lot more fish. From late October to april the fishing is quite spectacular, Pike sit close to shore in very shallow water making it perfect for wading and fly fishing. On my first trip down here, I asked my good friend Ulf, who also is an excellent guide and lodge owner how deep I should fish, he told me, think shallow, and then fish even more shallow. At first I thought, yeah so 1-2 meters, I fished for a few hours and had hooked very little pike, this was not the pike paradise I had hoped for. During one cast, I hooked a tree, got mad and pulled the fly out with force, the fly landed just near a meter out into the water and as soon as it hit the water a pike took it. 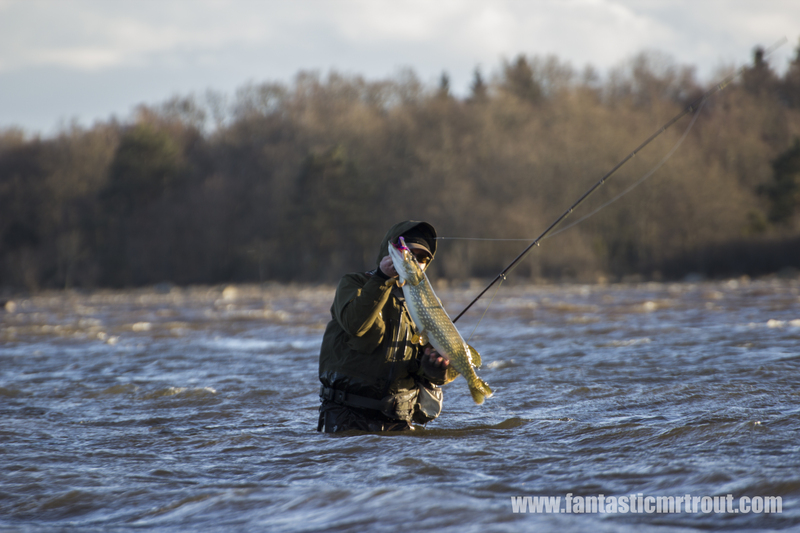 That´s when I realised that I had fished too deep, I started fishing towards land, in no more than knee-deep water and hooked pike after pike, these fish were not holding in 1 meter deep water, they were holding in 30-50cm of water very close to land. This change it all, I caught a huge amount of pikes and the fishing was just crazy fun. Ulf Johansson is the owner of a fishing camp here. He offers affordable accommodation located directly on the water, you can open your door, cast and catch a pike. that’s how great this place is. He also offer guiding, he has lived here all his life and know these water like nobody else. He has boats to rent and a shop to buy gear at. I recommend anyone to visit, this is fun for beginners and advanced fly fishing guys. The pike fishing is truly amazing, The fishing camp is top notch and you have unlimited spots to fish. Below you will find some general Information. Please contact me for more information. Fishing spots: all up the east coast and also into the coves on the south, south-west towards Karlskrona. There is pike everywhere. Take the ferry out to the island, the fishing there can be spectacular during the coldest months when fish gather inside the coves. Season: All year around, summer months you find fish out on the islands, winter time they are very close to the coast line. Rods: 7-8 weights, floating lines, fish shallow.